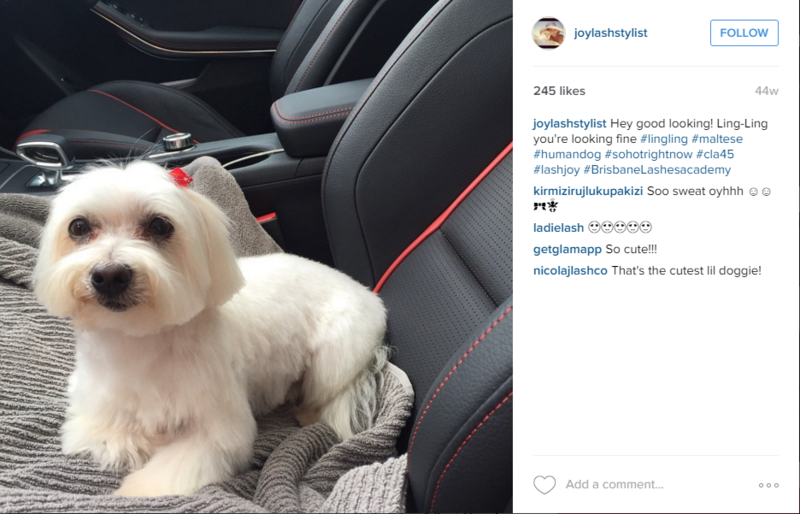 Here it is.. Joy’s Top 10 Instagram Posts for 2015!! #10. Jeremy (my Boyfriend) with 5D-8D man lashes! I used him for LashWars Competition practice.. he loved it. #9. 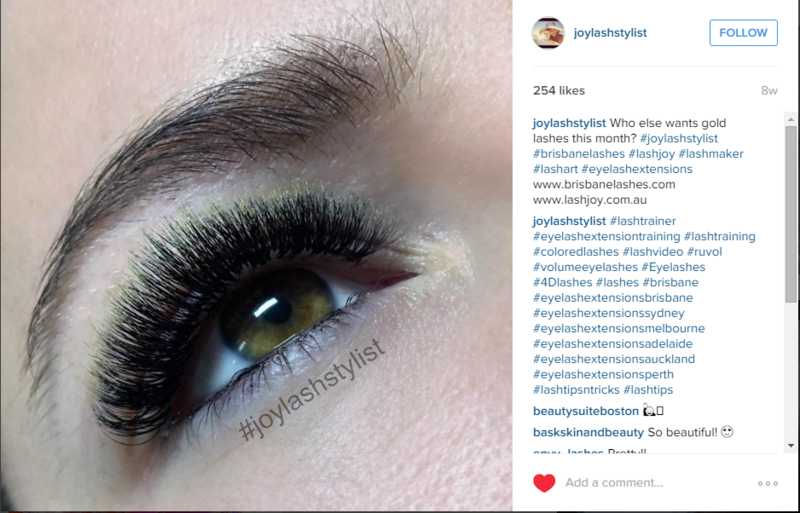 A Mega Volume Lash refill for a Brisbane Lashes client! #7. 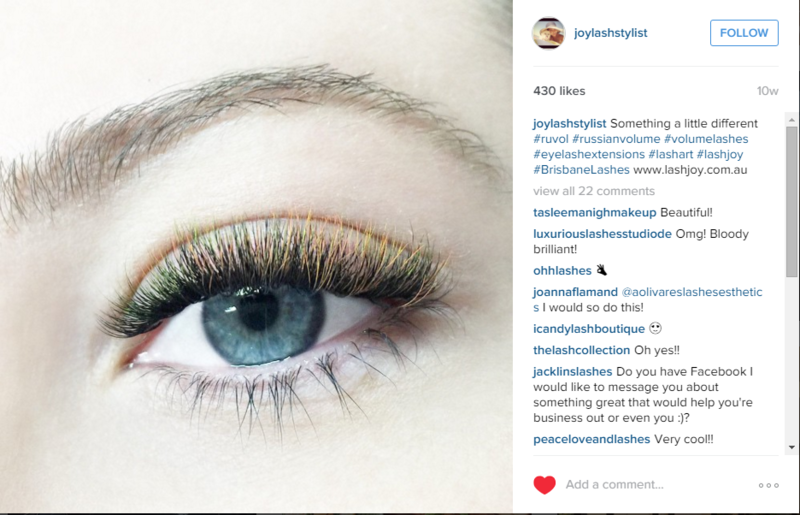 4D Black & Gold Russian Volume lash set I created just before Christmas. Very cool! #6. 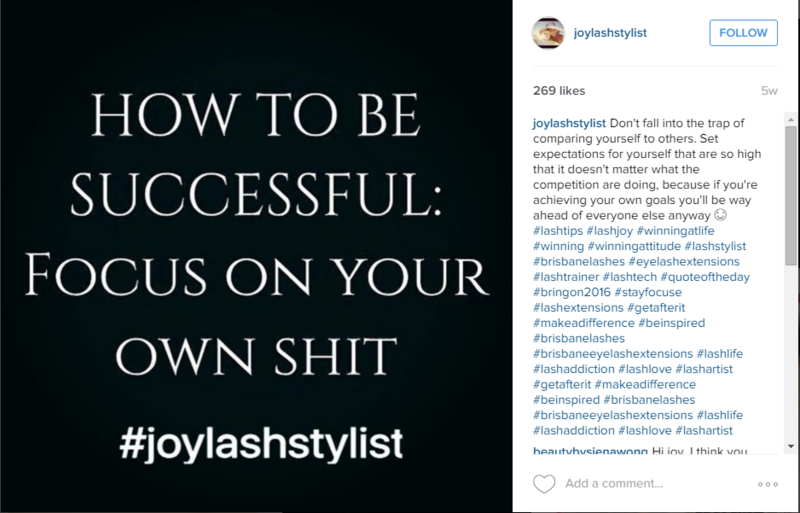 Some excellent advice and something I‘ve come to live by these days. Don’t let others distract you from trying to achieve your goals and dreams! #5. 4D-5D Volume Lash Set with only 60% coverage as this client has so many natural lashes. This is what I like to call "lashes for days!" #4. 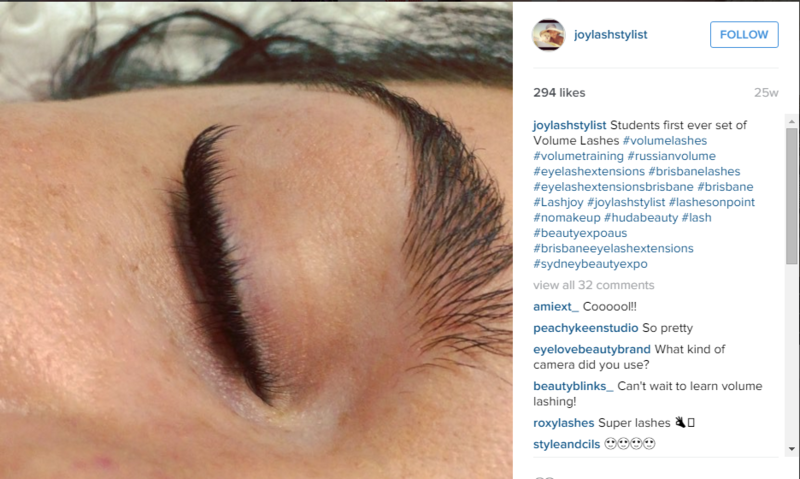 Video of one of my students work showing off her first ever set of Volume Lashes! Click the photo to watch! #3. 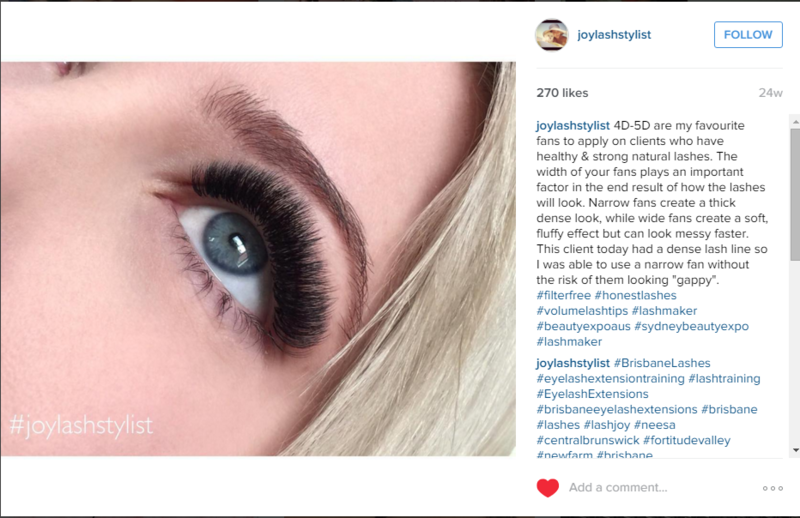 Bespoke Hot Pink 4D-5D Volume Lashes! 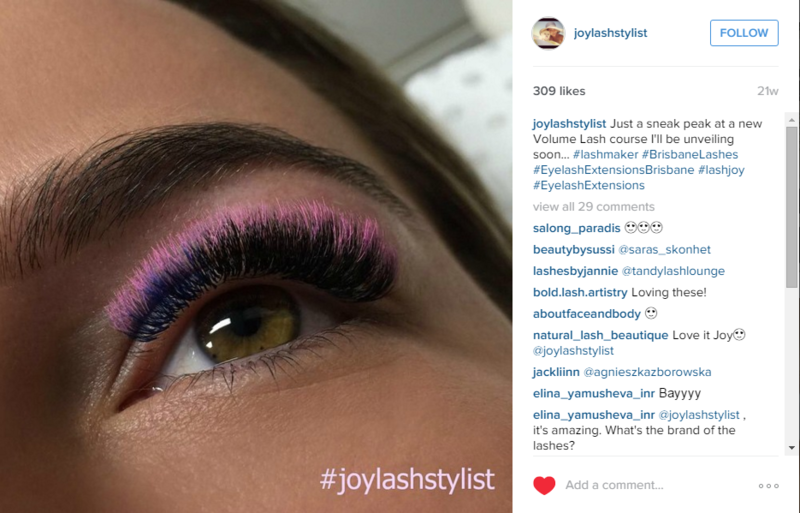 It seems everybody loves the coloured Volume Lash look! #2. 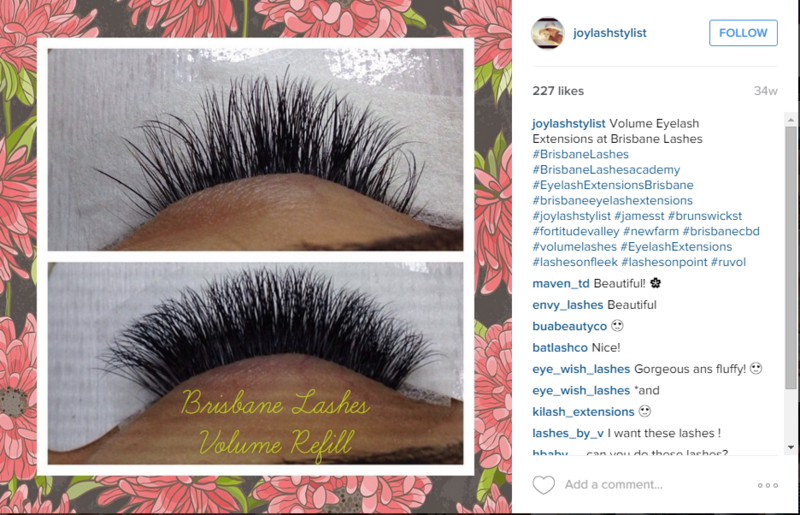 A super dramatic Volume Lash Set. 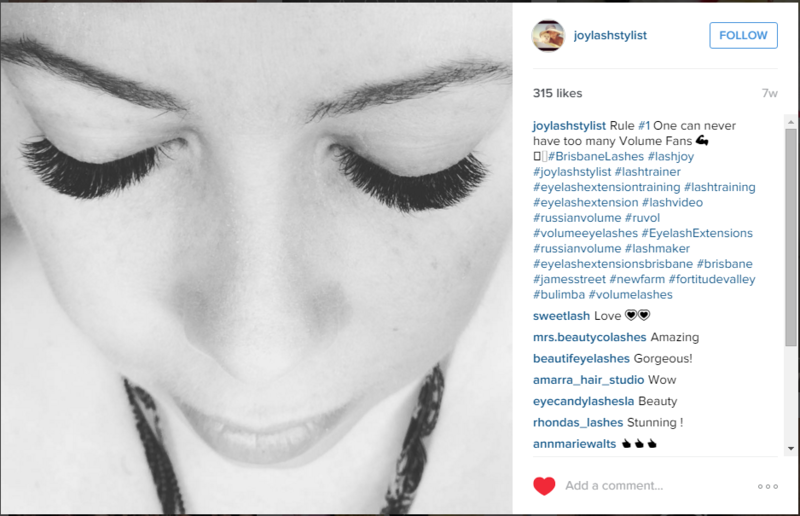 This is what you call "Mega Volume" lashes! WOW! #1. Bespoke mixed Volume set using 2D 0.12, 3D 0.10 and 5D 0.07 as well as 3 different colours! I slept well after this. The "Real" #1... Ling Ling the smiling salon dog! No loyalty with this one, she loves attention from anyone! I hope you enjoyed my Top 10 Posts for 2015! !